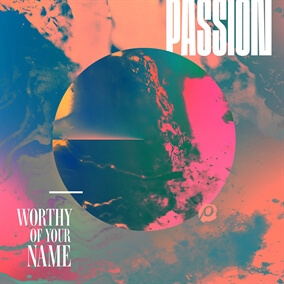 Passion's new release, Worthy of Your Name, was recorded live at the Passion 2017 Conference and features new songs from Chris Tomlin, Crowder, Matt Redman, Kristian Stanfill, Sean Curran, Melodie Malone, Brett Younker and Hillsong United. Kristian remarks, "Fifty-five thousand college students gathering in one place to worship Jesus and stake their lives on what matters most is a world-shaping event. Seeking Jesus and singing these new songs with this generation is an experience and a sound I will never forget.” "Glorious Day" is an exciting testimony of the moment we found new life and freedom in Jesus, declaring the good news of how He has rescued and redeemed us, "You called my name and I ran out of that grave, Out of the darkness into Your glorious day." "Worthy of Your Name" is another favorite on the album that recounts Jesus's triumph on the cross and boldly worships, "You are worthy, You are worthy of Your name!" Other standouts include "God of Calvary," "This We Know," and a lively collaboration between Hillsong United and Crowder of UNITED's song, "Rule." Passion 2017 marks the 20th anniversary of the Passion movement and the songs included on this latest album capture the movement's heart to see this generation glorifying God and living for His name. Worthy of Your Name is now available on all digital platforms with physical copies releasing March 24.